If you look at the photos of the bottom of the West St area you will see Churchill Square has already been cleared for building. 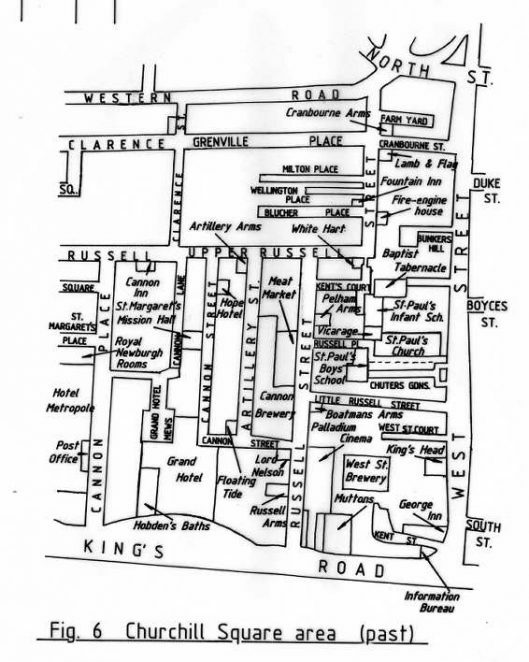 My mum and family lived in the fishermen’s cottages at Bunkers Hill just off West Street. I was wondering if anyone had any photos of Bunkers Hill?